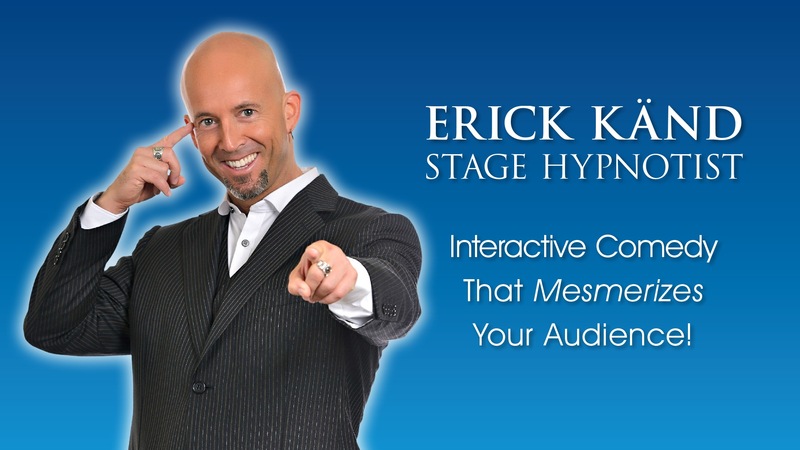 Erick Känd performs ENGAGING, Clean Comedy Corporate Hypnotist Shows that IGNITE audiences across the nation. It's the funniest corporate entertainment you'll ever see. Erick Känd is ENTERTAINING, EMPOWERING, and ENLIGHTENING! Audience volunteers become the stars! A fast paced performance that is incredibly fun for both the volunteers and audience members. Clean comedy entertainment tastefully suited to everyone in attendance. Even difficult audiences are drawn into the fun! Everyone is laughing and applauding wildly! 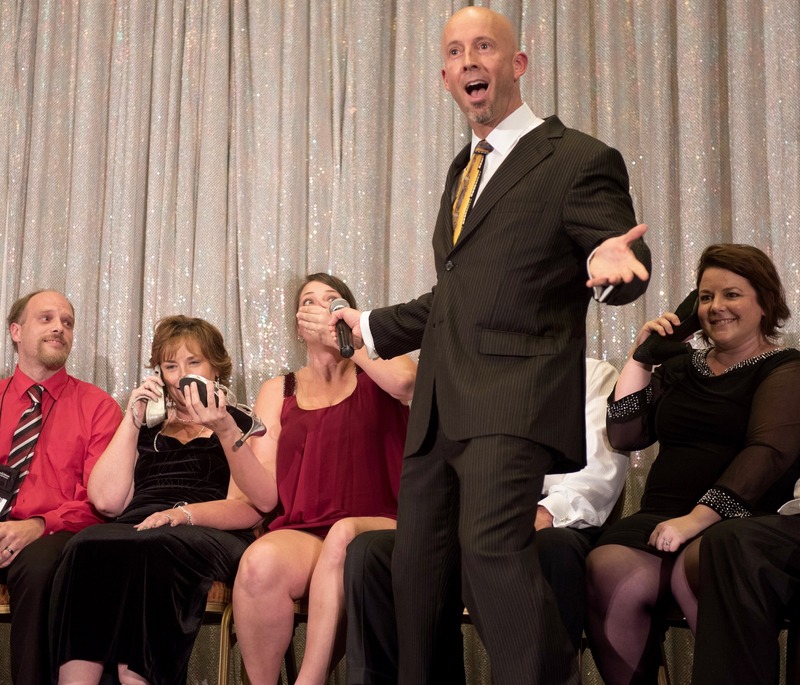 Stage Hypnotist Erick Känd works with event planners nationwide, creating unforgettable events with interactive entertainment guaranteed to keep everyone laughing! Performed in every state of the USA. Over 3.5 million views on Youtube. 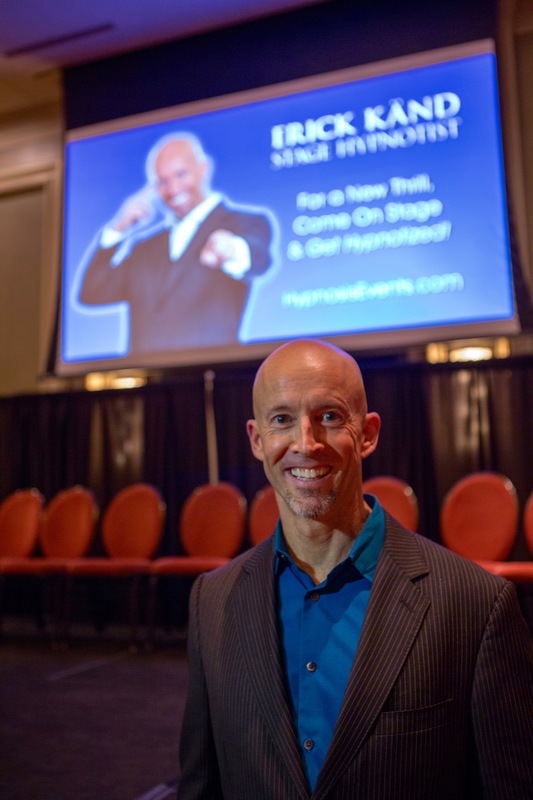 Certified Consulting Hypnotist since 2001. Master Practitioner of NLP (Neurolinguistic Programming). Certified Public Accountant - no longer practicing! 3rd Degree Karate Black Belt. TWICE mistaken for Howie Mandel in airports! Author: The Fear Cure Course: A step-by-step multi-media system to conquer anxiety and build unstoppable confidence! Transforming people to become their own best therapists. Breathing - You're Doing it Wrong!